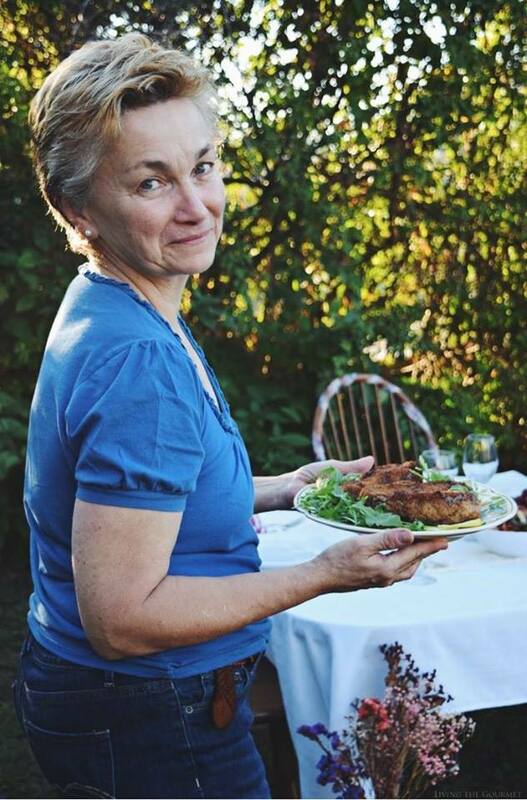 Thank you to the Masciarelli Winery for sponsoring this review! Since just before the start of November I’ve been receiving a lot of questions regarding which wines pair best with which holiday, and my answer has been, simply, that there is no answer. 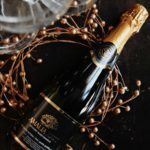 While certain liqueurs, aperitifs, or mixes may be holiday themed or part of tradition, proper wine pair during the holidays, as with any gathering, depends on what it is being paired with, and to a far lesser extent the season. 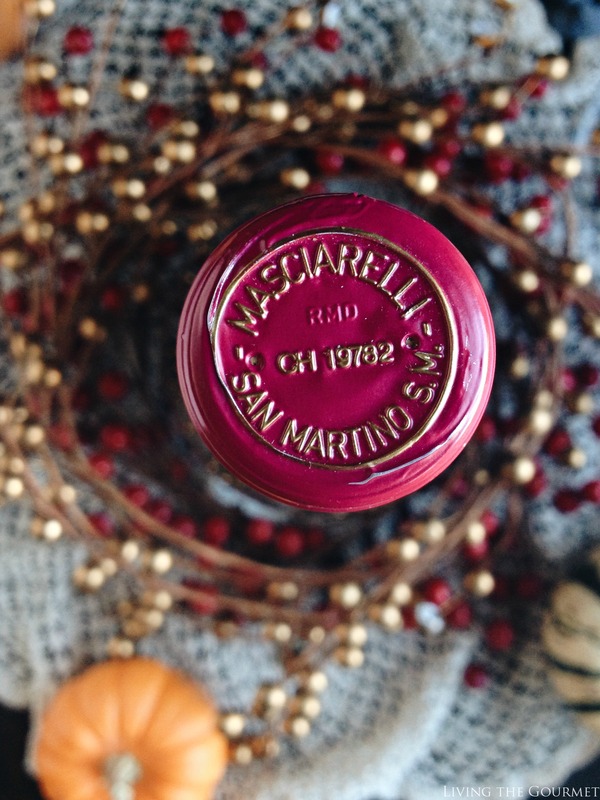 That being said, it was quite the fortunate stroke of fate that a few weeks ago we were contacted by the representatives of the Masciarelli Winery asking if we would review one of the bottles on time for Thanksgiving. 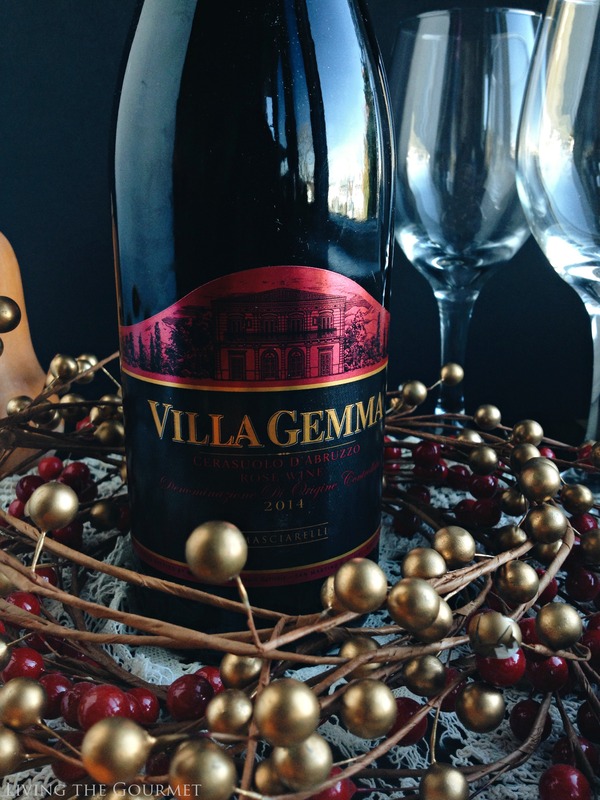 In particular, they wanted us to sample their Villa Gemma Cerasuolo d’Abruzzo Rosé 2014, which is entirely a Montepulciano from the Abruzzo Cerasuolo DOC, and they wanted our opinion on whether in fact it was a match for a “traditional” Thanksgiving meal. To start things off, for those who may not be familiar, Rosé is produced using one of the simpler forms of wine production, and also likely the earliest, in which the juice from the grapes is allowed to remain in contact with the skins for only a short period of time, usually about three days. The the must is then pressed and the skins extracted about a day later. This has the effect of giving Rosé it’s distinctive ‘blush’ or ‘rose red’ color, since the longer the skins are allowed to remain in contact with the juice the darker the wine becomes relative to the grape itself. As for today’s bottle, how does it hold up as a Rosé? Also, is it a perfect pairing for a traditional Thanksgiving meal, as was suggested? Let’s find out. 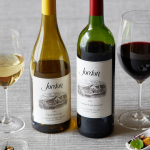 On pouring, the wine introduces itself with a classic cranberry or young strawberry red ‘blush,’ and is rather dark, with just enough clarity or translucence to keep its Rosé appearance. On sampling, the wine greets with an instantly fruity nose, primarily cherry veiled over assorted red fruit from the top of the glass. Hints of licorice perforate into the middle of the glass, and become more pronounced into the bottom, clashing pleasantly with the initial cherry essences. 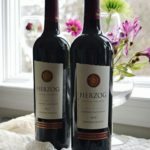 On sampling, the bouquet carries over almost entirely, with cherry notes perforated by ripe red fruit. Towards the finish, I perceived either licorice from the bouquet, or perhaps very vague herbal notes, which I found to be quite surprising and very pleasant. The wine finishes with mildly sweet fruit essences, but lingers only briefly. 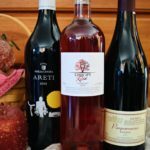 As with most wine produced exclusively from Montepulciano grapes, including Rosé, hardier cuisine is a rule, typically roast lamb, bolognaise sauces, roast goose, or herbed beef tenderloins. In short, the wine’s pairing is an almost perfect mirror image of the cuisine from its region of origin in Siena, Italy. 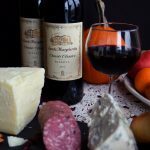 In other words, Montepulciano is almost made to order for a traditional, heavy Thanksgiving meal. However, you will want to make certain that your Turkey is thoroughly seasoned, that garlic is included generously in the mix, and is as moist as possible. I would also prepare a rich gravy, and apply it liberally to your plated fowl and potatoes. Do that, and this becomes a match made in an autumn themed heaven. 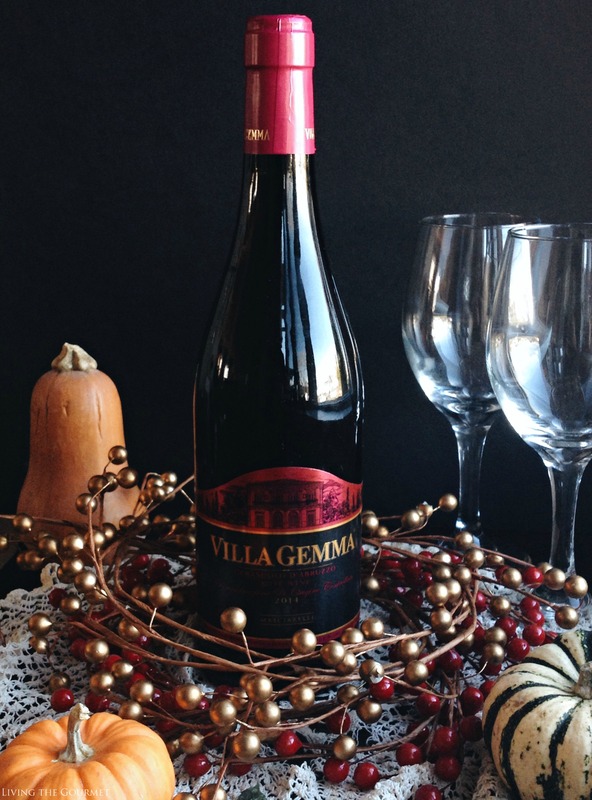 In closing, I can easily recommend Villa Gemma Cerasuolo d’Abruzzo Rosé 2014, especially as an excellent addition to your Thanksgiving table. Wine is, was, and will always been awful. One of the worst things I ever wasted time to taste.